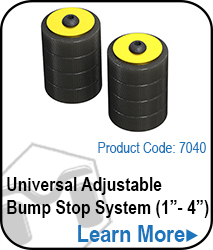 JK Wrangler Steering Stabilizer Axle Mount moves your aftermarket steering stabilizer up out of harms way. The MetalCloak JK Steering Stabilizer, Axle Side Mount will relocate the axle side of an upgraded steering stabilizer up and out of harms way from where the factory steering stabilizer is mounted originally. Simple to install using existing factory holes for a bolt on application. 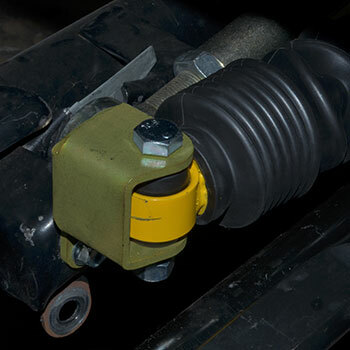 The MetalCloak Steering Stabilizer Axle Mount is for aftermarket steering stabilizers. * May need Steering Stabilizer Tie Rod Mount. Note: Bracket does not work with Stock Shock Stabilizer. The MetalCloak JK Steering Stabilizer, Axle Side Mount relocates the axle side of the steering stabilizer to better protect the steering stabilizer from debris by moving the stabilizer up and out of harms way from where the factory steering stabilizer is mounted. Simple to install using existing factory holes for a bolt on application. Note: The MetalCloak Steering Stabilizer Axle Mount is for aftermarket steering stabilizers.